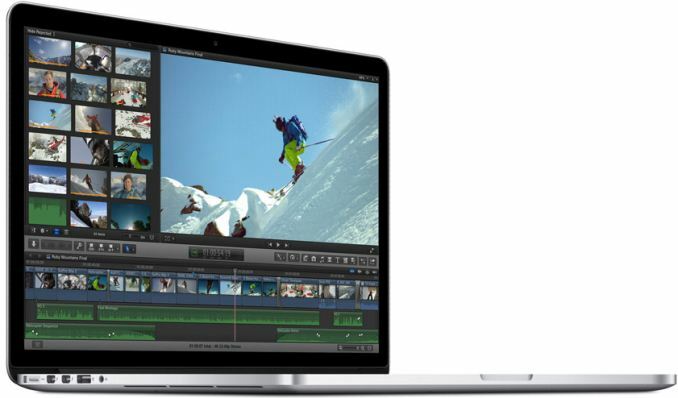 This morning Apple announced the release of the 2015 refresh of their 15” Retina MacBook Pro lineup. With the 13” rMBP having been updated with an Intel Broadwell processor back in March, we were expecting a similar update for the 15” model around this timeframe, however as it turns out Apple will be sticking with Haswell just a bit longer. Let’s jump into the specs. As far as the overall design goes, based on Apple’s specifications it does not look like the chassis has been updated in any way. The 15 rMBP’s dimensions are identical - it’s still 0.71” (18mm) thick – though the weight has gone up very slightly from 4.46lbs (2.02kg) to 4.49lbs (2.04kg). Nor have the ports changed, with a combination of USB 3.0, Thunderbolt, MagSafe 2, and not a Type-C port in sight. However on the input side of matters the Force Touch trackpad, first introduced on the MacBook and 2015 13” rMBP, has finally made its way over to the 15” model. In the case of the MacBook Pro Apple isn’t looking to save space in the same manner as they were the MacBook, but rather the Force Touch trackpad represents the next generation of trackpads for the company thanks to its pressure-sensitive touch and the additional input options that unlocks. Meanwhile on the inside, much to our surprise the processor situation remains unchanged. Apple has confirmed that the 15” rMBP continues to use Intel’s Haswell processors and not their newer Broadwell processors, and as a result the processors available for the 2015 15” rMBP are identical to the 2014 processor options. Since the processors have not changed, this also means that the 2015 models offer the same Iris Pro-equipped CPUs across the entire 15” lineup, with all models including the 40EU Iris Pro 5200 GPU. On the other hand the optional discrete GPU for the rMBP has changed; it is now AMD’s just-introduced Radeon R9 M370X, which ships with 2GB of VRAM. Unfortunately we know very little about M370X at this time – AMD’s closest part we do have specs for is the Cape Verde based M375 – so at the moment we’re unsure if this is another Verde part or if it’s something else entirely. Elsewere, on the storage side of matters the SSDs have seen a slight upgrade. Just like the 13" rMBP earlier this year, the new 15" rMBP is now using a wider, PCIe x4 SSD. This will double theoretical maximum through, though the actual performance impact remains to be seen. The final notable change here is that both battery capacity and battery time have gone up. Battery capacity is now up to 99.5 Wh, up from 95 Wh in 2014. It will be interesting to see the first rMBP tear-down, to see if this comes from different battery chemistry or improved space utilization to allow a physically larger battery. In either case, battery life is now speced for 9 hours for both web browsing and video playback, up from 8 hours on the 2014 model. A whole additional hour on just a slightly larger battery may be a bit optimistic, especially if Apple hasn’t made any other power savings changes. Meanwhile the Retina iMac has also received a partial upgrade, with Apple realigning their SKUs. The big news here is that Apple has shoved the non-Retina 27” iMac into a corner, and now offers 2 27” configurations with Retina. The new $1999 base model is essentially a slightly cut down version of the original model launched late last year, and comes equipped with a 3.3GHz Intel Core i5-4590 processor, 8GB of RAM, a 1TB hard drive (no Fusion Drive on the base model), and a Radeon R9 M290 for graphics. 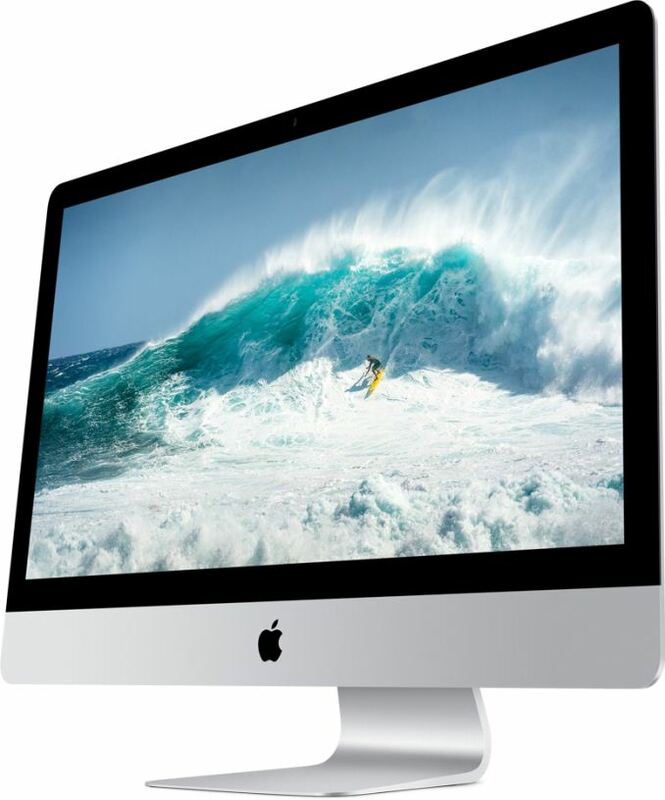 Meanwhile the original Retina iMac is unchanged in configuration and is now the high-end option for the iMac. At the same time its price has been brought down $200, from $2499 to $2299. WHAT!!?? A 3rd generation with Haswell? I know several people in my company who have been waiting for this refresh to requisition new laptops will be very disappointed. If M370X is Cape Verde (GCN 1.0), I'd also consider it a potential regression compared to (even) mobile Kepler, let alone Maxwell 1 or Maxwell 2, at least for thermals and perf/W... correct me if I'm wrong. The same is true for both systems. There are mobile quad core Broadwell SKUs announced but I didn't hear anything yet about their actual availability. I agree. At this point the next rMBP 15" refresh could very well be an entire platform refresh to Skylake. I'd love to see them slim down the display bezel slightly and use those savings to make the device footprint a bit smaller. I switched to a 2014 15" rMBP from a 2013 13" rMBP a few months ago because I needed more cores. I love the added performance. I miss the smaller formfactor.